What does it take to maintain your status as a bestselling author? Han Se-Joo (Yoo Ah-In) was a writer in his past life during the 1930s Japanese occupation of Korea. He has been reincarnated and is a bestselling author in the modern day. But Se-Joo is depressed and has writer’s block that keeps him from completing his next bestseller. 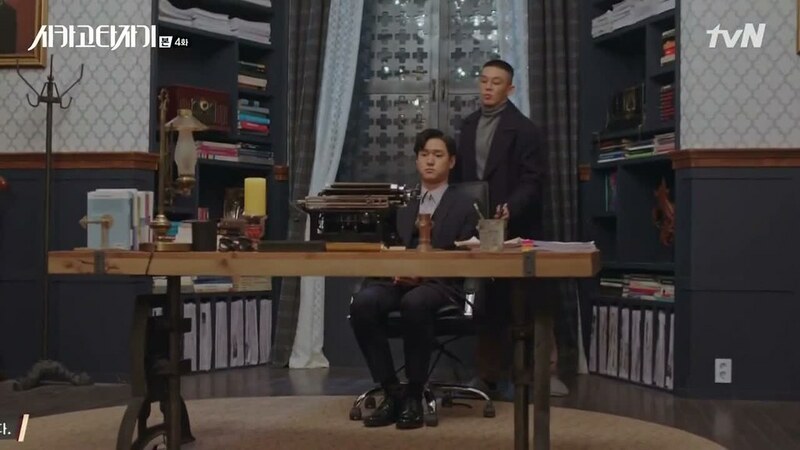 Yoo Jin-Oh (Go Kyung-Pyo) is a talented ghostwriter who can bail Se-Joo out of his predicament, but the mysterious man has a condition for his services that Se-Joo may not be able to meet. Jeon-Seol (Im Soo-Jung) is a veterinarian and book lover who runs her own delivery service. She becomes an anti-fan of the overrated Se-Joo. Can Se-Joo produce another bestseller under such difficult circumstances? The main reason why I watched Chicago Typewriter was because of the title. 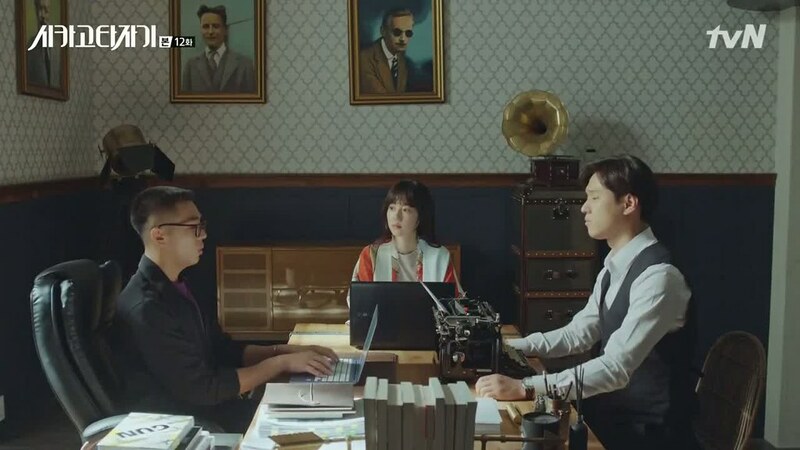 I love typewriter and I believe if the title is already talking about typewriter, then this drama must have a writer story in it. And I was right. However, at first, I kind of confused with the plot story but as episodes went by, I was able to follow the story. Is it great? Well, let’s talk about the cast first. This is the first time I watched Yoo Ah-In’s drama despite him being in this industry for quite sometimes now. I’ve seen him very briefly when he became cameo in Descendants of the Sun (2016), but that’s all. I’ve heard that Yoo Ah-In always acts in totality. Though I can’t say that out loud now, I can say he’s doing great in portraying his character in Chicago Typewriter. In this Korean drama, he played a double role as the present writer named Han Se-Joo and a writer in 1930s named Seo Hwi-Young. Both characters were quite different, though not drastically different. Still, I am amazed how good Yoo Ah-In was able to give a different charisma to both characters. Im Soo-Jung played the female lead named Jeon-Seol. Like Yoo Ah-In, her character also has a past life named Ryu Soo-Hyun. At first, I thought Im Soo-Jung’s acting didn’t really stand out. I knew she has played many films before but not so many dramas. She’s definitely not a new actress because she’s been acting for a long time now. 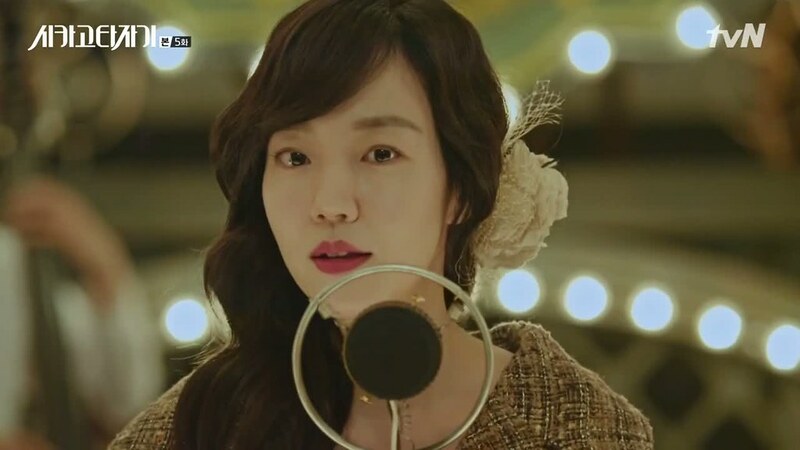 However, somehow, in Chicago Typewriter as Jeon-Seol was kind of moderate. I didn’t find her acting special. However, as Ryu Soo-Hyun, Im Soo-Jung proved that her acting skill was more than moderate. Unlike Jeon-Seol who was a veterinarian and a literary fanatic, Ryu Soo-Hyun was some sort of a rebel and sniper who disguised herself as a boy. Why you asked? It was answered rather late in the drama. So if you were curious about it, you have to stick to the end. At any rate, Im Soo-Jung did well in Chicago Typewriter. It wasn’t great—at least in my opinion—but at certain points, it was quite entertaining. I have seen Go Kyung-Pyo for quite a several times now. Last time in Tomorrow’s Cantabile (2014) and Reply 1988 (2015-2016). 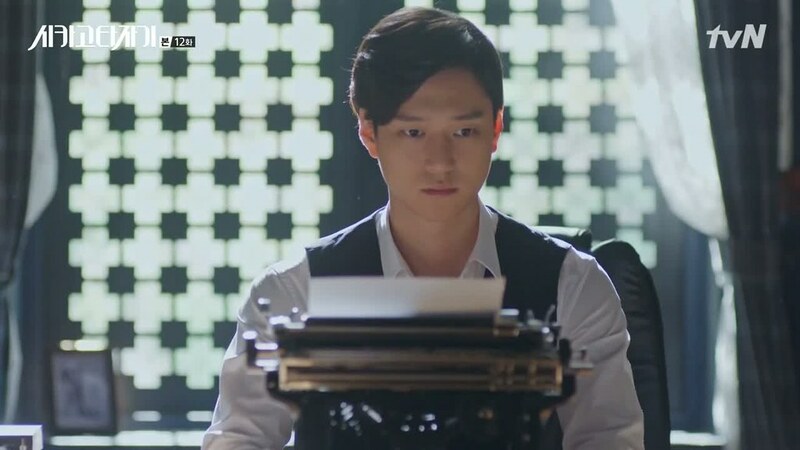 Now in Chicago Typewriter, Go Kyung-Pyo played the role of Yoo Jin-Oh, a ghostwriter who suddenly appeared in Han Se-Joo’s life. Apparently, he also appeared in Han Se-Joo’s and Jeon-Seol’s past life too. I am not a fan of Go Kyung-Pyo but so far, he has proven himself that he can do well in every role that was given to him. He’s an actor that worth to be reckoned with in the future. The antagonist, Baek Tae-Min, was portrayed by actor Kwak Si-Yang. Although he has only been an actor for a couple of years, he had starred in several Korean dramas. The one that I watched was Fight for My Way (2017). I think Kwak Si-Yang was very good at playing the antagonist. He could make a face that would make the viewers hate his character. When an actor who played an antagonist could make himself being hated by the viewers, that he must be doing a good job. 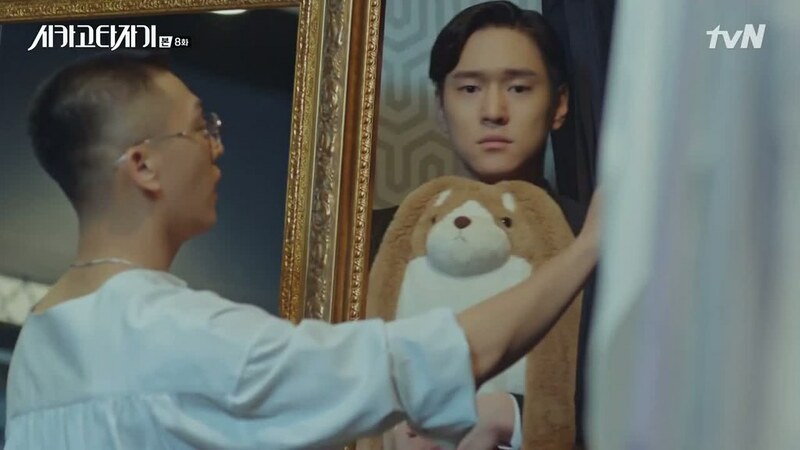 Of all the characters in Chicago Typewriter, my utmost favourite is perhaps the dog. 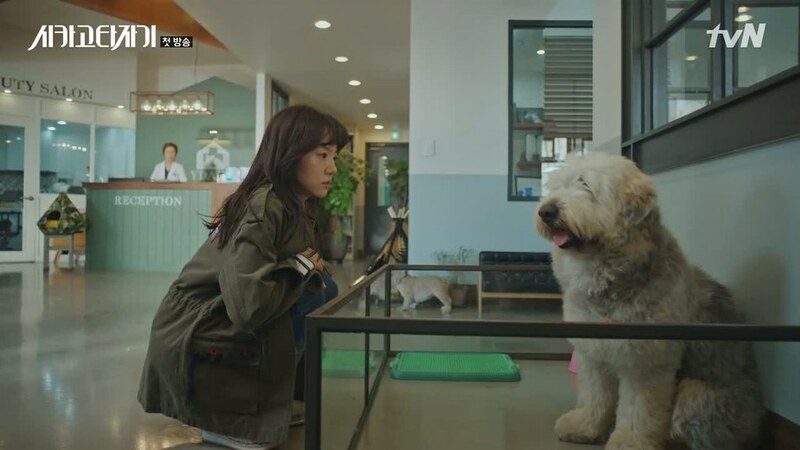 Like This is My First Life (2017), the animal/pet somehow became a scene-stealer himself. Perhaps because the dog is super cute that the viewers would love it at first sight. It’s an Old English Sheepdog and he is super duper cute! Like seriously, very cute. 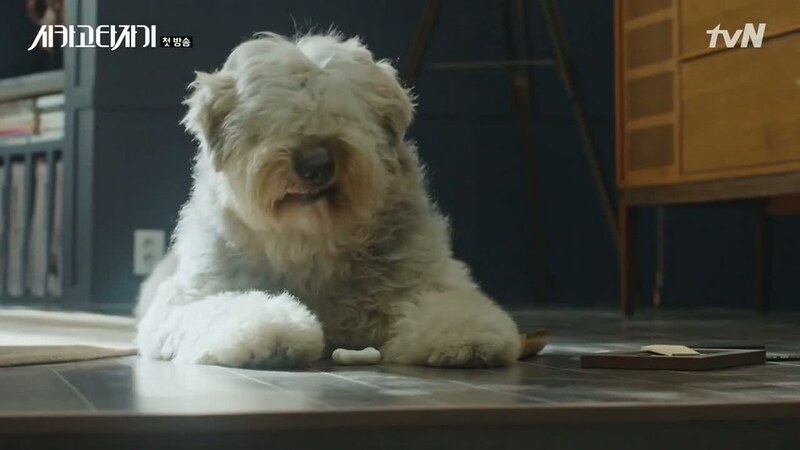 Old English Sheepdog isn’t one of my favourite dog breeds but after watching Chicago Typewriter, maybe they will be one of my favourites as well. 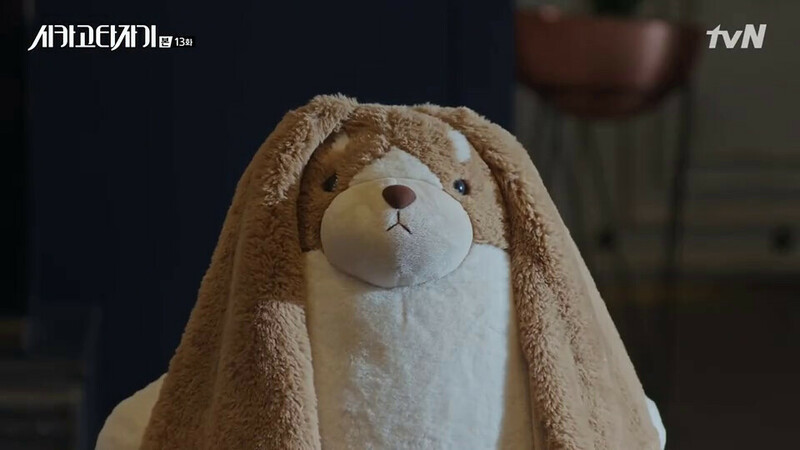 Even the dog doll in this drama is also very adorable. I don’t know how Korean dramas can always make a very iconic and cute doll in the dramas. What I like about Chicago Typewriter is the chemistry between all the characters. Not only the love story but also the friendship. I think Han Se-Joo and Yoo Jin-Oh made a great friendship. They were very funny together. Sometimes they fought, sometimes they got along just fine. I think I like seeing the friendship more than the love story. Not that Yoo Ah-In and Im Soo-Jung didn’t create a good chemistry, they were good but not as sweet as most couples in other dramas that I’ve seen. Yoo Ah-In and Go Kyung-Pyo showed a stronger bond. They could be very funny. Despite everything, the relationship between Han Se-Joo, Jeon-Seol, and Yoo Jin-Oh was interesting. 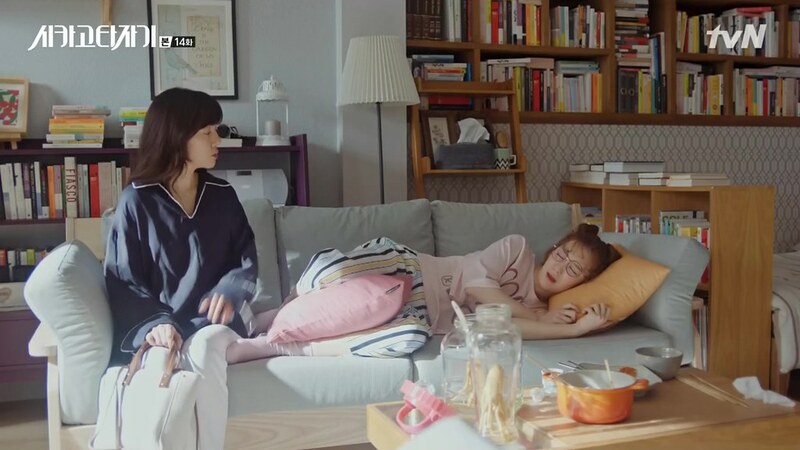 The story of how the three of them were connected was the highlight of this drama. 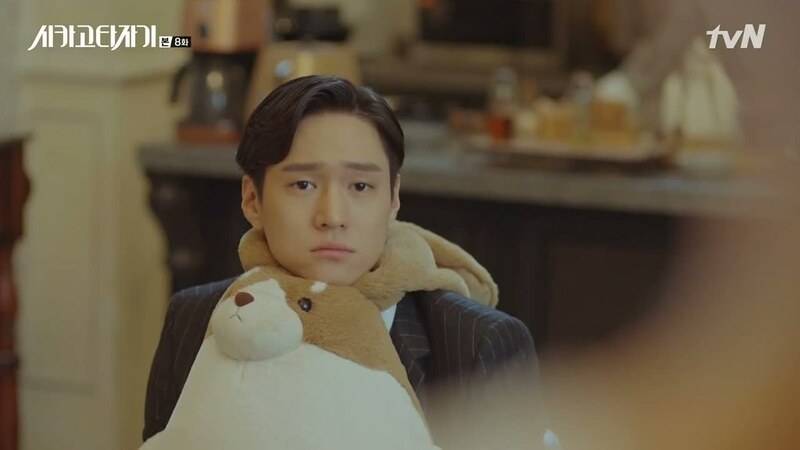 It took me more than half way of the drama to realise that Chicago Typewriter is about when Japan still ruled over Korea and all the young Korean were trying their best to rebel so Korea could be free from Japan. They had enough of Japan making slaves on Korean people. I think it was something like that, though I can’t be more precise or specific since I don’t know much about Korean or Japan history. Chicago Typewriter used a back and forth plot, which was a smart choice when they put it right. Now, I am not saying they put it wrong, it’s just the way they did it makes Chicago Typewriter lost the main point and plot of the storyline. Seriously, I was confused where the story was going because I don’t know their goals. When I watched Korean dramas, I usually understand what’s the goal of the story. I could see it clearly what’s the point and the focus of the drama. However, I didn’t see it in Chicago Typewriter. Somehow, the story of this drama got mazy and lost its focus. I like a back and forth plot. It could be very interesting if they could tell it right. I haven’t seen a lot of Korean dramas that used a back and forth plot. Usually, it would go like this. The present, the past, and back to the present again. 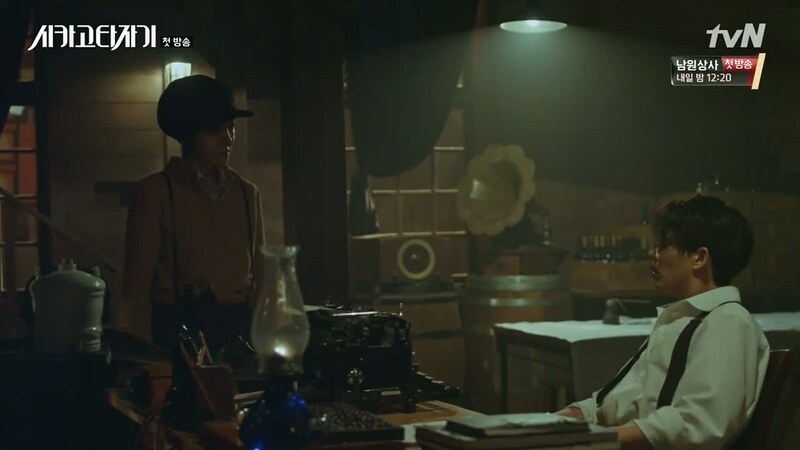 However, Chicago Typewriter gave us a lot of glimpse to the past, not just once but in every episode. I don’t mind if the story of the past was a continuation but the thing about Chicago Typewriter is that they didn’t make the past story a continuation. It’s kind of random and I got confused what happened first or second or third. The story structure of the characters’ past life was kind of a mess, in my opinion. Since they want to make a long past life story rather than a short history, they should make the story structure more structural and not confusing. Take The Legend of the Blue Sea (2017) for example. This drama used similar pattern wherein each episode, we were shown the past life of the main characters. However, I didn’t get confused because the past life story was focused and structural and definitely not mazy. 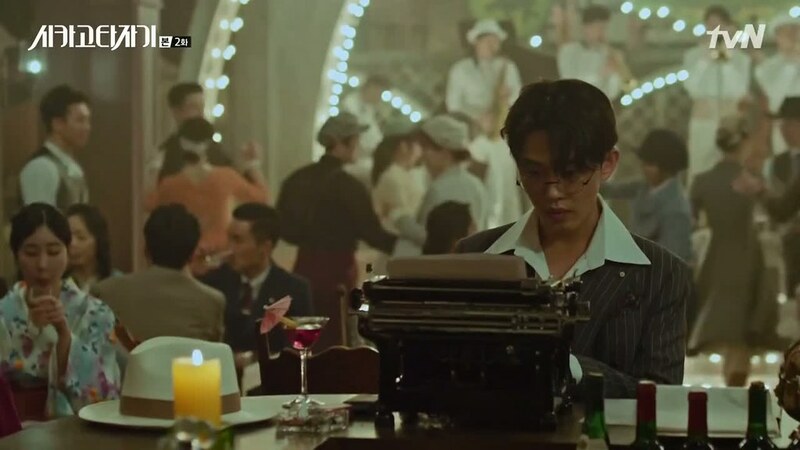 Nevertheless, I like how Chicago Typewriter told a history of Korea into something new. They just needed to do it better so that the viewers wouldn’t end up confused with the whole story. By the end of the drama, they were so focused on the past that I nearly forgot the purpose of the characters in present time. No, scratch that. It’s kind of an understatement because I did forget the storyline in the present time. I did forget what’s happening with Han Se-Joo and what sort situation he was facing. Up until now, I was still questioning whether the writers wanted to highlight the story of the past or the present because if they wanted to highlight the past, they surely started it wrong. If they wanted to highlight the present, they surely ended it wrong. 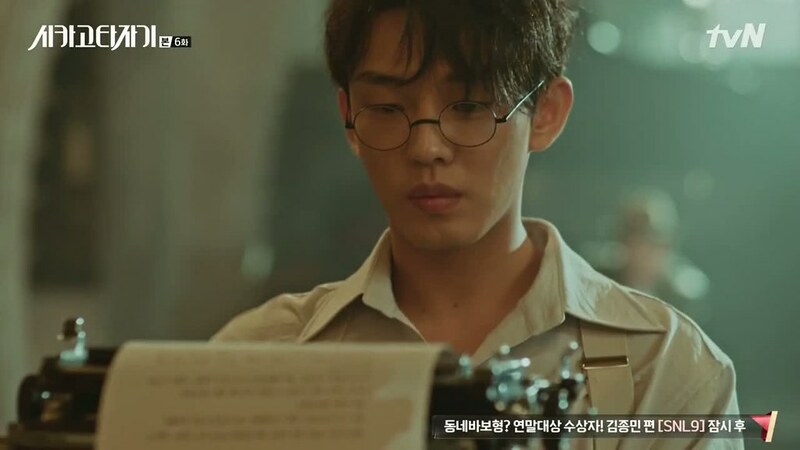 The balance between the past and present story in Chicago Typewriter was kind of a mess and confusing. I don’t know if it’s just me or many of other viewers also thought so. 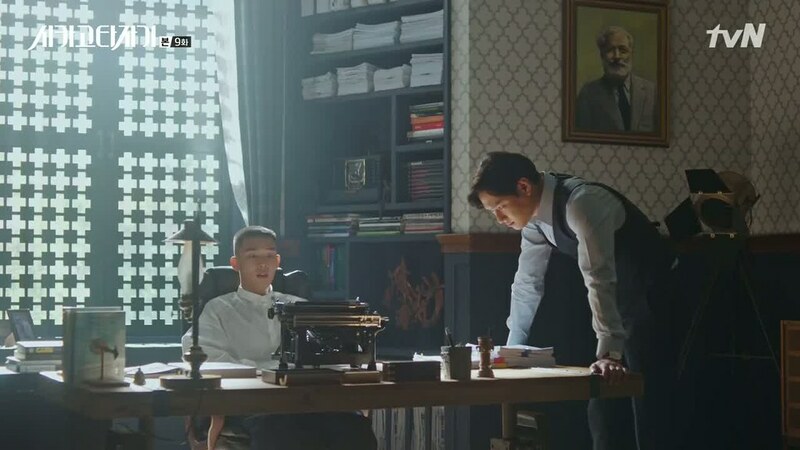 The best thing about Chicago Typewriter, in my personal opinion, is the setting. 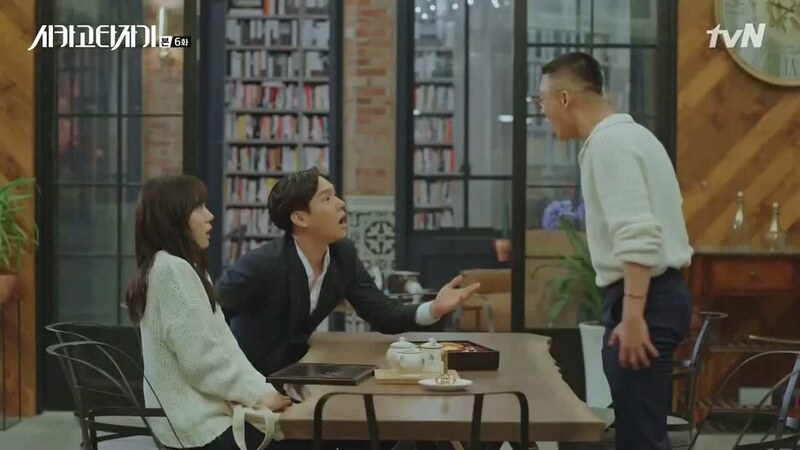 Since this drama is about writers, there were a lot of books shown in the drama. I really love books. Like really really love them. I am what they called a bibliophile. Therefore seeing so many books in the drama made me so excited and happy. I really really love Han Se-Joo’s house. His house is my dream house. I don’t need a fancy mansion or beautiful castle. 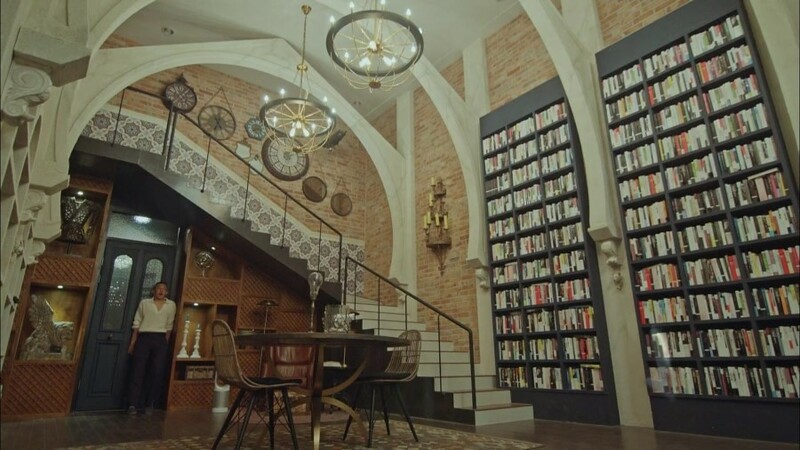 I just want a house with many high bookshelves that were full of books, just like Han Se-Joo’s house. Every corner of his house was filled with bookshelves full of books. Just what I have always really wanted. 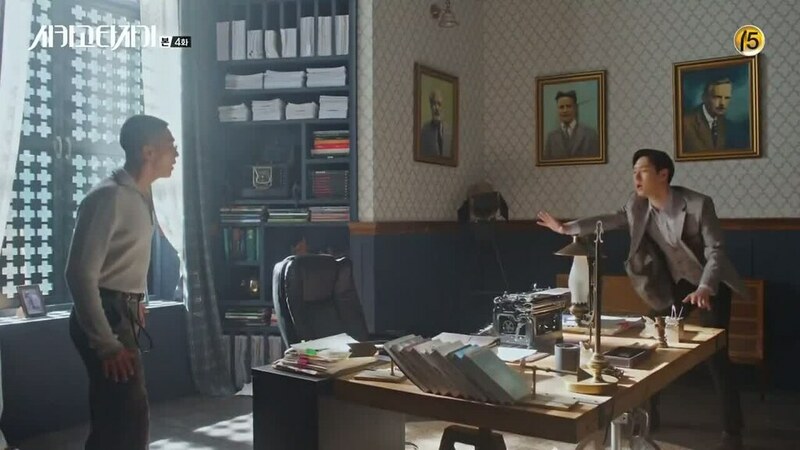 Although Jeon-Seol’s and Baek Tae-Min’s also have a house with full of books, I prefer Han Se-Joo’s house. I guess it’s because Han Se-Joo’s house was being shot more than the other houses. Their houses are the houses that every book lover, every book nerd, and every bibliophile will love. Aside from the present houses that filled with books, I also amazed by the 1930s Japanese setting. The way the scenes were taken made the story felt so 1930s too. I like how the production team managed to get the places seemed so Japanese and so 1930s. The clothes, the houses, the cars, and so on. It’s never easy to have a setting about the past years because the production team has to make sure that every detail is right so that they could the essence of the year they were telling. Even the costume really suited the era. Of all the soundtrack songs, my favourite is “Writing Our Stories” by SG Wannabe. The song is really beautiful and somehow can be heartbreaking as well. I don’t understand its meaning, but the melody is so beautiful that I fall in love with the song right away. All in all, Chicago Typewriter has its own plus points. I like the 1930s settings and all the houses used in the drama. Those houses are all book lovers’ dream house. 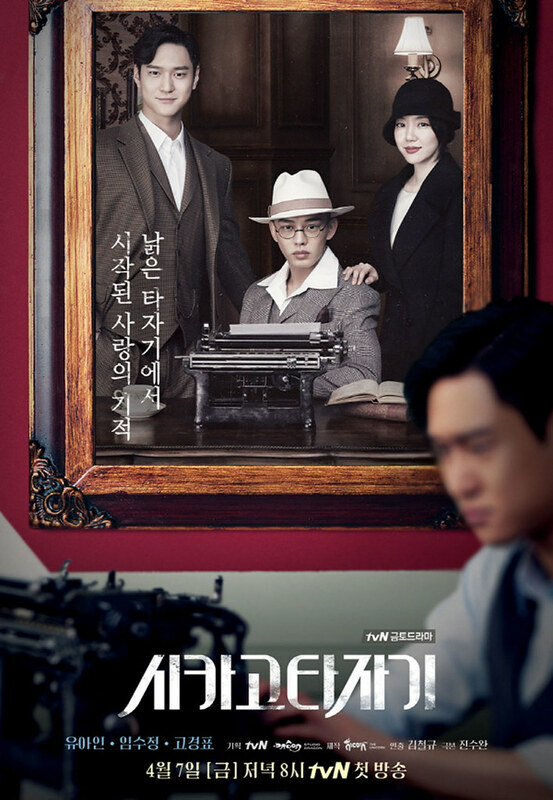 Chicago Typewriter is a drama that book lovers will love, merely because of the setting. They also talked about famous writers a couple of times as well. I also like how they told Korean history in such a unique way. The viewers were shown a new side of Korean history, at least I found out something new about Korean history. It gave you new insights about Korea and Japan history. However, despite telling a story in a unique way, Chicago Typewriter still has many flaws. I think their story was lack of focus. I was confused whether I should focus on the past life or the present life but seeing how the ending ended, I think they wanted to focus on the past. Then again, I’ll never know. I give Chicago Typewriter 7 out of 10 stars.